We may be into a new year, but that doesn’t mean that the onslaught of deals that we saw towards the end of 2018 has to also come to an end. We’re going to make sure that doesn’t happen, and with the folks at AUKEY doing the same, you’re in safe hands. 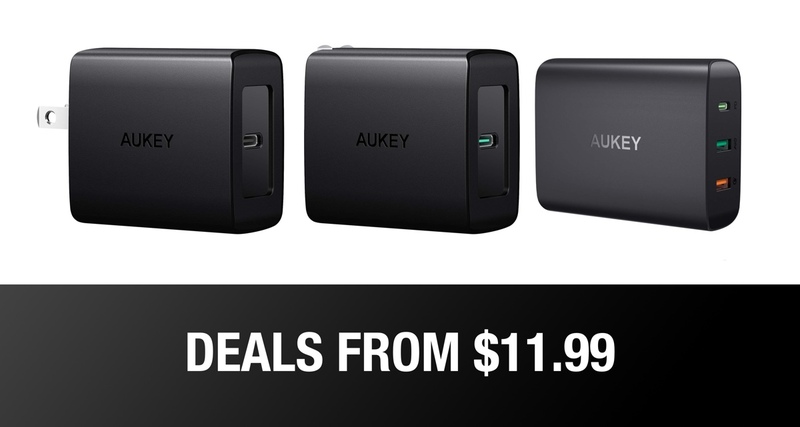 Today, and for the next few days, AUKEY has five of its USB PD chargers available at discounted rates, so if you need to pick up a new charger, now is absolutely the time to do it. There is something for everyone here, whether you need to get some power into that new USB-C phone or perhaps a new 2018 iPad Pro, or want to be able to keep that MacBook fully juiced up without taking your Apple charger with you. Power ratings go all the way from 18W to a massive 60W here, so be sure to make sure you’re ordering one that meets your needs. With that said, let’s take a look at what’s going on, shall we? There are some great deals there, with the higher wattage offerings also representing great value. We use some of these same chargers here, and they’ve been great servants.